The 2019 ABP Newport Wales Marathon will take place on Sunday 5th May. We are delighted to announce that we have 5 gold places going free for anyone who wishes to run the marathon on our behalf. We also have 20 gold places for the 10k race which takes place on the same day. 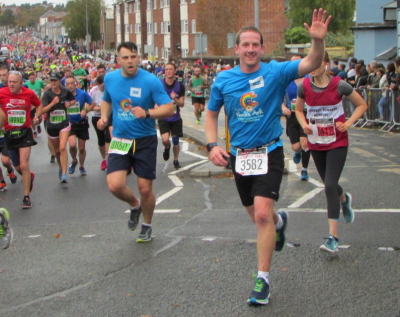 All that we ask is that marathon runners commit to raising £300 in sponsorship for the Noah’s Ark Charity and 10K runners commit to raising £200. All fundraising money raised will go directly towards supporting the 73,000 children who receive specialist and often lifesaving care at the Noah’s Ark Children’s Hospital for Wales each year. Your FREE place will also entitle you to a gold runners vest for you to wear on day. To grab yourself a space contact Linda Davies on 029 2184 7310.